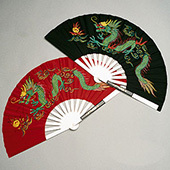 Martial Arts Fighting Fans are popular in many of the martial arts because of their beauty and unexpected ability to function as a very effective weapon. 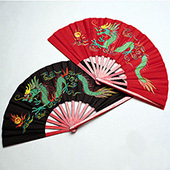 Martial art fans are more typically found in the Chinese martial arts like Kung Fu and Wushu, but are also commonly used in some of the Japanese arts where they are known as Tessen. 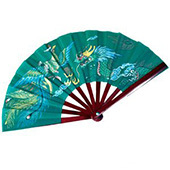 Martial arts assassins disguised as geisha commonly used steel fans to surprise their enemies with a deadly attack. 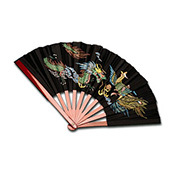 Fighting fans are made from a variety of woods and metals, and usually feature beautiful designs to help distract an unsuspecting opponent. 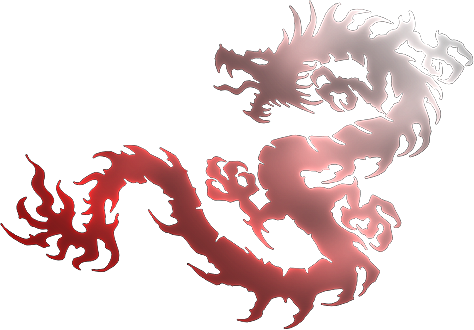 Due to their weight and flexibility, Bamboo Kung Fu Fans are very popular with women or martial artists performing form demonstrations. 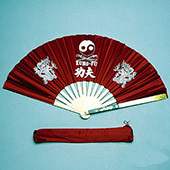 The heavier aluminum or steel fans are popular for practicing offensive weapon techniques and can be used for joint locks, striking, and even deflecting weapons. 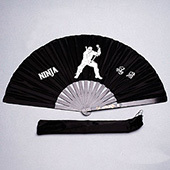 KarateMart carries a variety of fighting fans, which are perfect for weapons demos, dojo decorating, or just keeping yourself cool in the summer.